Discover the luxury speakeasy that fits your mood up north. There are multiple reasons to love a hidden bar. There is the fact that passing through an unmarked door to find a speakeasy club opens up a slew of ideas: if this barber shop isn’t just a barber shop, what else is possible? There is the feeling of exclusivity and the appeal of being in on a secret. There is the experiential nature of speakeasies: getting into a place no one knows about takes effort and that effort raises the act of going out into an event in itself. Whatever the reason, in every major metropolis, hidden bars are becoming more and more popular. Toronto is no exception. This private club was established in 2010 for serious drinkers. Walk-ups are strictly prohibited and a set of house rules (a nod to New York’s sadly defunct Milk & Honey) is established from the onset. Entrance to the bar is, supposedly, reserved for members but a polite phone call or email can sometimes land a reservation pending availability. Inside The Toronto Temperance Society takes cues from the prohibition era for its decor and menu. Bartenders are immaculately dressed and extremely knowledgeable on the fully thought out cocktail menu and well-curated beer list. The attention to detail keeps the atmosphere from feeling too pretentious or too kitsch, striking the perfect balance between upscale exclusivity and local watering hole. If you’re lucky enough to find yourself inside, we suggest going off menu and letting the bartenders create something unique. Entrance: While no official address is listed online, The Toronto Temperance Society is located above Sidecar restaurant. When booking, ask the host for the specifics on getting in. The Cloak is located underneath Marben restaurant. Though the Wellington Basement suffers from an identity crisis – the vintage hockey sticks on the wall suggest an upscale sports bar, naming drinks after popular punk songs harken to Queen West dives, and the cozy booths create a date night ambiance — it compensates with a spirited cocktail menu and daily drink specials. Happy hour, a rarity in Toronto, runs from 6 p.m. to 7 p.m. Monday through Friday with ten dollar cocktails. On Sunday nights The Cloak features a premium scotch selection for ten dollars all evening, including a sixteen-year-old Lagavulin that’s not to be missed. Entrance: Look for the neon BAR OPEN sign beside Marben’s main doors. A phone number is listed just below. Call the number to be let inside. Cold Tea is hidden in the heart of Kensington Market, a neighborhood that serves as one of Toronto’s last beacons against the city’s rapid gentrification. The market is a mixture of old hippies, artist types, food vendors, and college students. On any given night you’ll see a combination of these types making up Cold Tea’s clientele. Though the bar is unmarked, it’s well-known among the locals, and until recently was sought out for its loveable dive quality. Last year, an overhaul of the location, which now includes a delicious Asian inspired menu and ever-changing installations by local artists, brought Cold Tea’s interior to par with the city’s other nouveau speakeasies. Unfortunately, it also lost some of the bar’s shabby-chic charm. Entrance: Cold Tea is located inside the Kensington Mall. Walk down the mall’s long hallway and look for the door with the red light above it. Mahjong’s exterior looks like a convenience store designed by David Lynch. It’s a great aesthetic. After passing by the glass countertop and multiple neon signs, you’ll find yourself inside a large back room decked out to look part retro diner and part underground forest. While the cocktails at Mahjong range from solid to delicious, the bar’s biggest selling point is the food. The assortment of small sharing plates are flavorful and ambitious, great to split with a partner or pass around a bigger group. For drinks, start with the Sake-based Stay Cosy. For food, start with the Shrimp/Pork Wantons. Entrance: Pass the convenience store exterior and into the backroom. Figures is located in the backroom of a comic/toy shop. 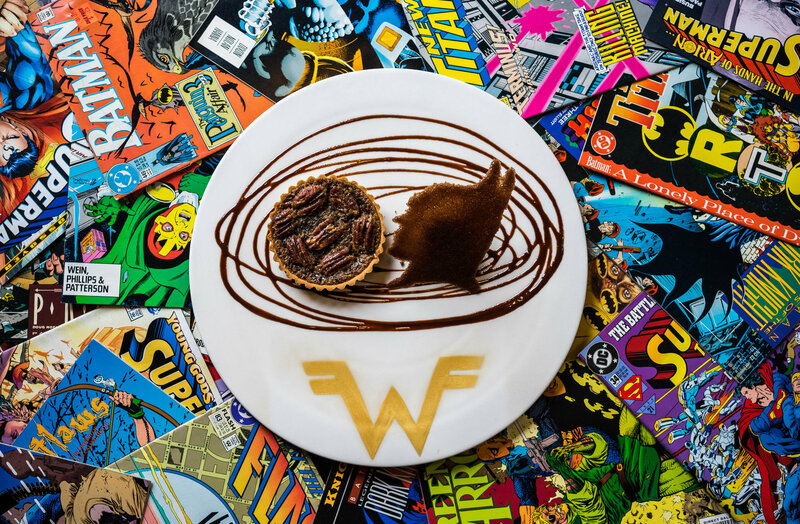 After entering through a backdoor in a superhero adorned wall, you’re welcomed into an upscale tapas restaurant decorated with custom comic art and a Pacman-inspired ceiling. The restaurant is situated in Yorkville, which means the high-end tapas location caters to a richer clientele than most of the other establishments on this list. Prices aren’t cheap, but if you’re looking to splurge in a unique location, the chocolate shell dessert (made with edible gold and the highest quality dark chocolate, natch) is worth the price of admission. Entrance: Enter through the hidden door at the back of the comic book exterior.